Panasonic has added a new camcorder to its professional range, although this one is a little different than previous models as it uses the Micro Four Thirds camera format. 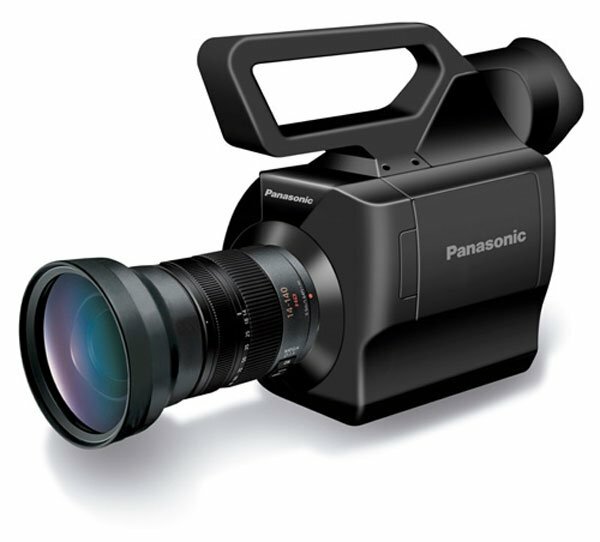 The Panasonic AG-AF100 uses a mirrorless SLR sized sensor to record Full HD video in 1080p, it has the same depth of field and wide angles as a 35mm camera but is much smaller. The Panasonic AG-AF100 features pro inputs and outputs using HD-SDI for uncompressed video and XLR inputs that are capable of generating Dolby AC3-ready audio. The Panasonic AG-AF100 features dual SDXC card slots that can takle up to 128GB of SDXC storage. There are no details on pricing as yet and no details on when they will be available.